Sure to become a collector’s edition. . .
Over 150 were reserved at this year’s SummerFest. . .
Only 500 special edition, hardcover books hasl been printed; each numbered and signed by George Mattson. There were 750 hardcover books printed of Uechi-ryu Karate Do in 1974. They were purchased in the first three months and so far none have shown up on e-bay or Amazon, but used copies of the softcover editions are being sold for over $360! “The Way of Uechi-ryu Karate” has been professionally edited and layed out to insure the highest quality book, printed on coated paper with a beautifully dust cover. The initial selling price was $150 and is currently being sold for $200. Lots of very interesting information about George’s new book on FaceBook! I just got my numbered, autographed copy of George Mattson’s The Way of Uechi-Ryu Karate. Here are my general comments. First… This is a very big book – almost coffee table book size. The photographs of many (including Uechi Kanei) are much better than in other books except Mr. Uechi’s own dictionary-size Kyohon. It is also beautiful. Second… I’m almost afraid to read my copy. 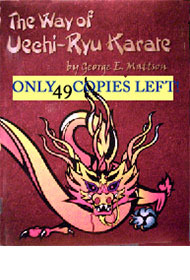 Several of my Uechi books now (Master Uechi’s Kyohon, George’s first yellow edition of Uechi-Ryu Karate-do) are collectors items. Master Uechi’s book could serve as a down payment on a very nice luxury car. If you happen to get one of the numbered and signed copies, I suggest you put it aside and get another “throw around” copy. But that’s me. Third… It is expensive. But IMO it’s worth it. Fourth… Nobody will every accuse George of being a master of the Japanese language. There are more than a few bastardized spellings of Japanese words in the book. It grates on me because I worked so hard in my Japanese language training and in particular the correct spelling and pronunciation of all things Uechi. Sorry, George, but I have to have SOMETHING negative to say. 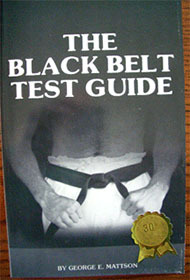 If you want a book with almost no mistakes on Japanese names of Uechi kata and exercises, buy Alan Dollar’s book. It took me 2 years to find the first mistake in it. (I believe it has two.) No biggie though… Alan’s book is good on all things Alan/Kenyukai, and George’s is all George. Fifth… Actually there’s another minor problem with George’s book. It has several fairly large pictures of me in it. I do apologize. You might increase the value of the book by hiding those pages. Sixth… This is a wonderful legacy piece for George. There are many, many personal photographs, and a detailed history of George’s journey from young lad to martial master. God I wish I could do something this nice. And finally…. There are now several existing translations of the text portion of Master Uechi’s kyohon. George got a copy of one (by David Smith I believe) and put several Uechi-relevant sections in his book. This alone is worth the price of the book. I read about 1/4 of the book in the plane on my way home from Florida. Excellent book. I couldn’t put it down. GEM presented information I never knew of in addition to clearing a lot of the old “political” questions (back in the 60’s) that lingered in the back of my mind. I don’t know if there are any more books left but its a “must have” for all Uechiryu folks. Hello All. I got GM’s new book today. I can tell you all, it is just GREAT! This is another great Uechi book by George. I was very surprised in how much material and information is packed in this book. Way more then I expected. So many pictures, detailed explanations on all aspects of Uechi Ryu. Pictures and writings about Master Uechi Sr. it will take me a while to read and re-read it all. Again, Congratulations to George on this master piece of a book. I highly recommend this book to all, it is an outstanding read. More very kind e-mail. . . Your book arrived early this week. Looks wonderful lying on my cherry finished desk. Forty some odd years ago, when first embarking on my interest in the martial arts, and to broaden my understan…ding and knowledge base, I enjoyed a varied library of books, now gone with the wind. I must say that yours is the finest volume of its kind I have ever seen. Congratulations on another great book. I am only on page 89 but I have skimmed ahead and find the topics extremely interesting and well presented. I am especially happy that you have included the benefits of Zen. I have been practic…ing Zen meditation for some time now as a compliment to my Uechi (I also dabble in Tai Chi). Many karate practitioners overlook the benefits that can be derived from meditation. Sections of your book are quick reads and quite entertaining, like your bio. Other sections require careful reading and study. I intend to spend a large amount of time with your book. What an incredibly beautiful letter. . . . I find myself ‘savoring’ each line of each page of this wonderful book…re-reading the lines again and again…almost out of fear that they might dissolve before my eyes. The words being that important to me _ as they provide a window in time…letting in the bright sunshine from a veritable ‘Uechi Garden’ of so many cherished memories. Once touching this work of art…it is impossible not to open it…and once open…impossible to put down…assailed by the magic in it…and the book’s cover… the color of remembrance of things past. And concern that good friends show. That souls endure and last. That soothes the hurting heart. From David Lamb. . .
Wow! I received your new book George, and I am so impressed! What a superb book! I’ll bet you are proud! I was showing it off To my class, and several people were very interested, and my newest Student… wants to purchase one. I gave her all the information…. She just turned 16! Also, I found a picture in there with such wonderful accolades….I Was so moved….and so honored!!!!! Tears were flowing…one of the Twins came over, and wondered if I was okay. When I showed her, we Both cried. How can I ever thank you for the honor of being in your Book? Thank You for the honor! You two are amazing people, and I am so Thankful you came into my life!! This from Henry Thom – one of my first student – and he is still very active in Uechi-ryu! What a book! What a chronicle of and by the Father of American Uechi-ryu. I am glad that I had a head start reading it b…ecause I picked up the book from the Winter Camp (regret that I could not stay) instead of waiting for FedEx. It is a book not only about the last of the modern day Karate masters – Sensei George Mattson from his days as a solder in Okinawa learning from the last masters of a bygone era, it also includes the life of Master Kanbun Uechi from his youth onward. There are many many interesting stories and historical events that make this book a “must” for any serious Uechi-ryu practitioner. After reading the book I am all “fire up” with doing the Sanchin and katas all over again. It gives me a “new and improved” appreciation and respect for Uechi-ryu. 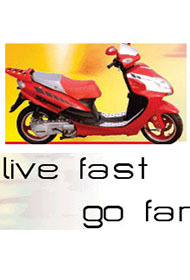 I also think that the use of the term “Boxer Way” as translated from the Kyhon is rather awkward to read. That term is translated from the word Kenpo, which is a Chinese term for “fist way” or “book of the fist” and is commonly used as another term for kung fu. Also, I do not mean to be critical but one must use some common sense when reading the Kyhon because there are facts and fictions all blended together. Just sort through some of the obvious one can get a real sense of the history of Uechi-ryu and Master Kanbun Uechi. Great book. Great job by GEM. By the way, the book itself is beautiful too!! First may I say how much I am enjoying the book, The Way of Uechi-Ryu,it is truly awesome!! Just wanted to let you know that I’m loving the new book. The background and history of the “early days” of Uechi Ryu here in the US are awesome. Great job! The book is an exciting yet smooth read and certainly contains ple…nty of the fascinating detail everyone was hoping for. All the folks I talk to agree that it’s big hit. Congratulations again.